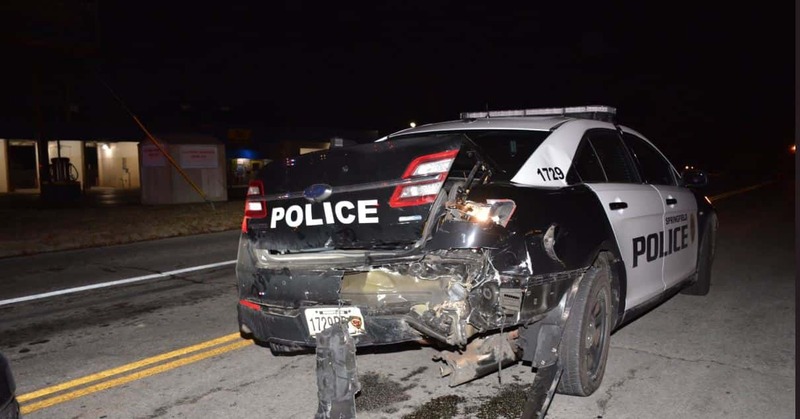 A Springfield police officer is back on the job after a suspected drunk driver crashed into his patrol car Monday night. Police Chief Paul Williams tweeted photos of the car and said the officer was treated and released from a local hospital. 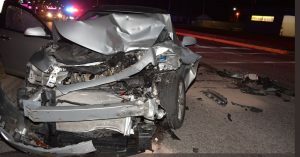 The patrol car was stopped at a red light, and the crash totaled both vehicles.